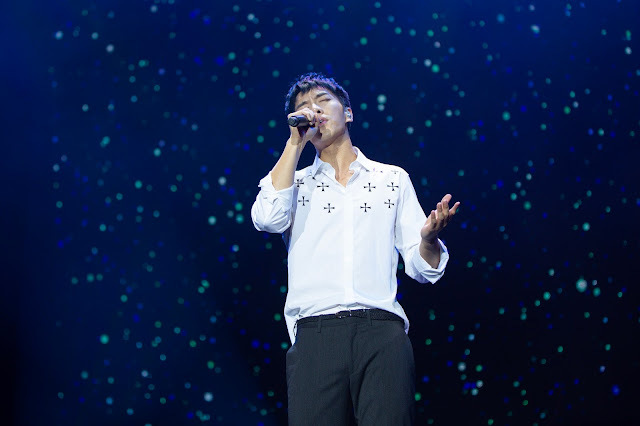 After a long-awaited of 5 years, Lee Seung Gi is finally back on our sunny island for a fan-meet. Fans were treated with a wide array of talents presented by Lee Seung Gi himself. The jam-packed fan meeting started off with a lovely song of “Because You’re My Woman”. 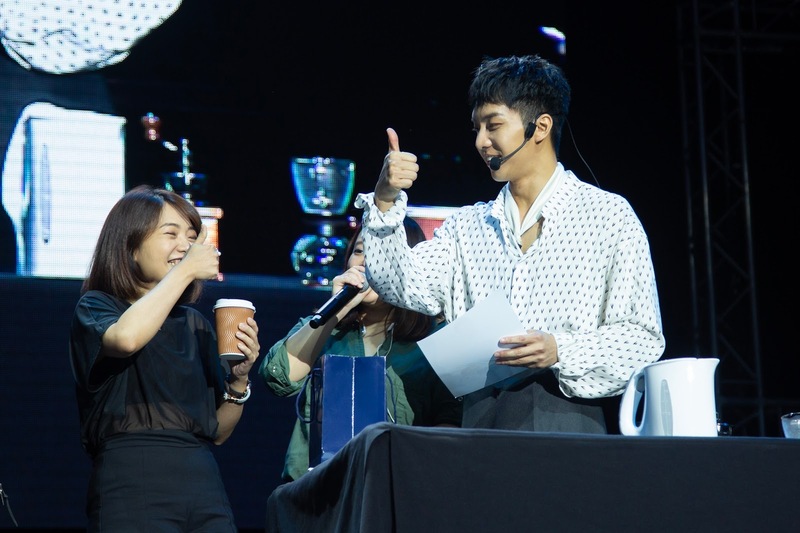 Along with multiple finger hearts, Lee Seung Gi poses for fans in multiple directions causing the crowd to go wild with their devices. 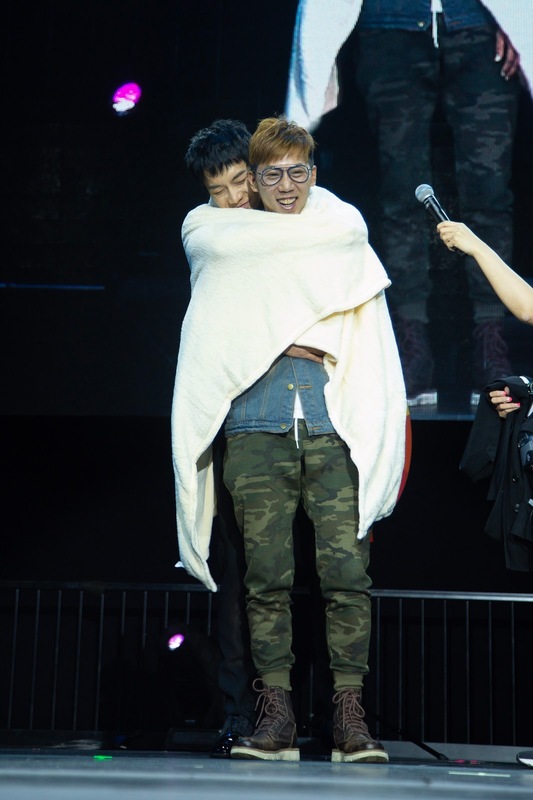 His 14th year since debut was congratulated with fans' letters and food during the fan-meet. With regards to his upcoming drama, Lee Seung Gi explains that his character is someone who wishes to become a stuntman but changed his mind and stayed being a normal human being, who ends up in an airplane disaster. It will be action-packed, filled with many exciting scenes that will bound to capture the viewers' attention. Lee Seung Gi mentioned during the filming of "Korean Odyssey", the experience as Sun Wu Kung was a fun one. The ability to teleport was someone he wishes to attain from one of his character's special powers. Furthermore, when the topic of his fur coat was brought up, Lee Seung Gi mentions that although he does not usually wear clothes like these, the fur coat did help him boost his confidence during filming. Lee Seung Gi mentions that whenever he touches the fur coat, it will shed and get onto the staff’s face. A healthy diet such as bringing his own cookware and ingredients was a way to maintain his figure, in addition, he also makes it for the staffs. What a sweetheart! 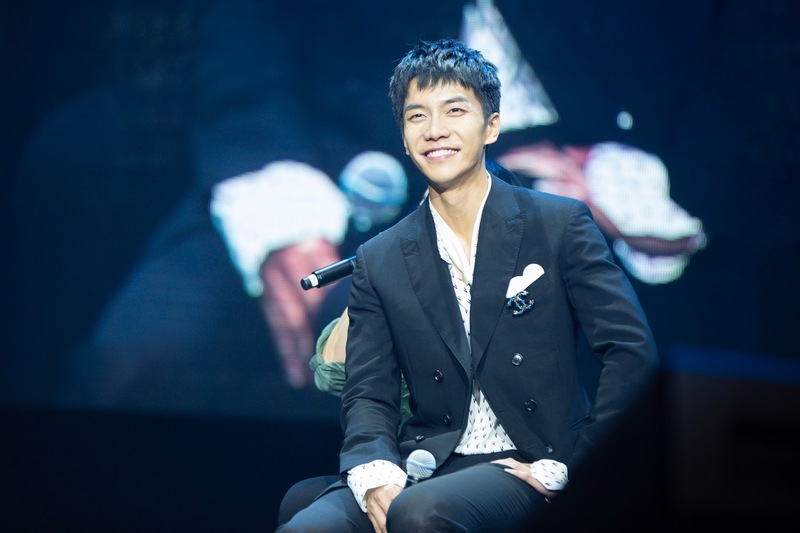 When asked if he has any wishes to take a break after his army duties, Lee Seung Gi sweetly replies that he treats the time taken when meeting his fans as a time off and wishes to meet more fans in the near future. The topic of his military life was brought up with short videos showing his vigorous trainings, he also mentions that military life has brought a significant change in his confidence and energy levels. What is a fan-meet without games with fans? This includes reenacting to scenes from “The Korean Odyssey”, sports and even finding Lee Seung Gi’s ideal “Samzang”. 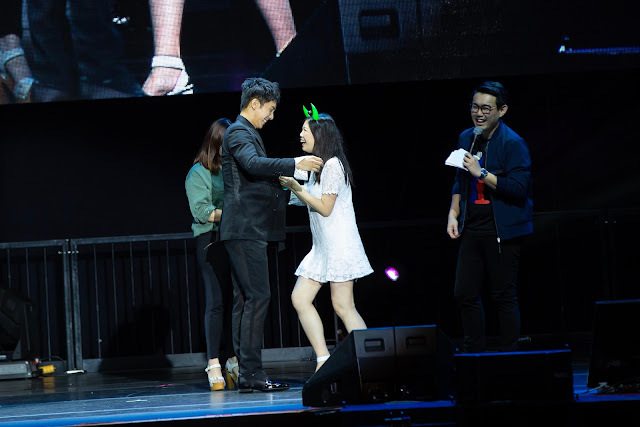 These chosen fans were also treated with goodie bags and not to forget, a hug from Lee Seung Gi himself! Nearing the end of the fan-meet, a short video prepared by fans were shown on screen. Touched by the video, Lee Seung Gi thanks fans for being there as the years pass and that many wonderful memories were made. A couple that was previously engaged with his presence also came to the fan-meet. They already have a child of 2 years. Seeing this, Lee Seung Gi was very touched and thankful the couple grew up well. Group photos were then taken from different directions, followed by the long awaited performance of “unfinished Story” and the energy pulsing “Smile Boy”.The fan-meet ended with “Let’s go on a trip” that brought the fans on their feet. He promised to return soon and asked fans to wait for him. We would like to thank AC Music Entertainment for the opportunity to cover the event.